thanks for the encouraging start into this. Would you guys be interested in some ground services work? Now I was thinking animated trucks. Would you have a recommendation how to get into that? I think a basic spawn and move into position would be nice to start out with. Let me know if it is wanted for the official aircraft. I'm just messing around for myself so far. I also blatantly ripped off the announcement system from the 787 because I like it so much. Was thinking about using different sounds, but haven't bothered so far. Cheers and great project. 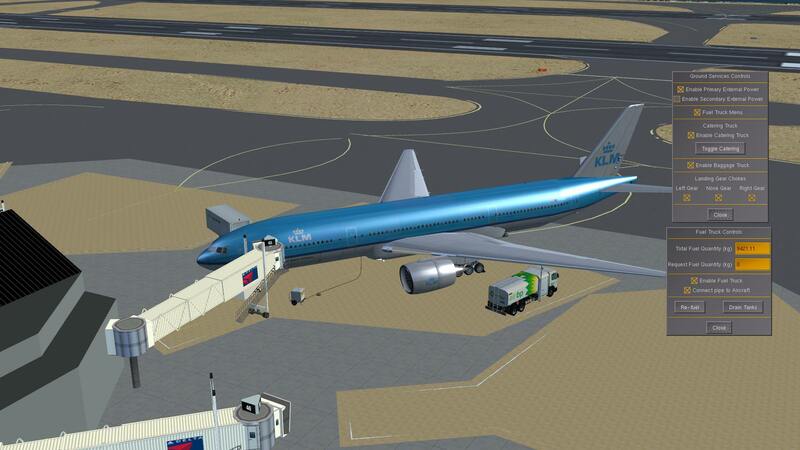 I really like the 777-200. You could try to reach out to the people involved/interested in this and see how things unfold. It is obviously a good idea to share your interests/background to see if you can find common grounds to work on this with others interested in some aspect of this. Speaking in general, it does help not to make things too narrow (read: too aircraft specific), to get more people involved. One of the most common failures around here is that people have a highly concrete project/effort or feature in mind, but seem unable to look at the bigger picture, i.e. they are often unable to see that there is tons of overlapping functionality, which could get other contributors involved, at the mere cost of generalizing things and making compromises/concessions (even if just temporarily) for the sake of the greater good. Hi there, great to see some work in this area! Please go ahead and ask anything you 'd like. I can always get your work committed in FGaddon. If you 'd model a fuel truck, please take a look at some of the more complex fueling systems that already exist (e.g. in the 787 if I 'm correct), because the current fuel & payload dialog doesn't feel quite realistic (in fact I always set my fuel through the property browser because you can't control the sliders precise enough. I have this on my long term todo list, but if you 'd like to take it up I would be very gracious! thanks for the tips. I did some more reading and had a look into animations and also addons, as Hooray suggested. 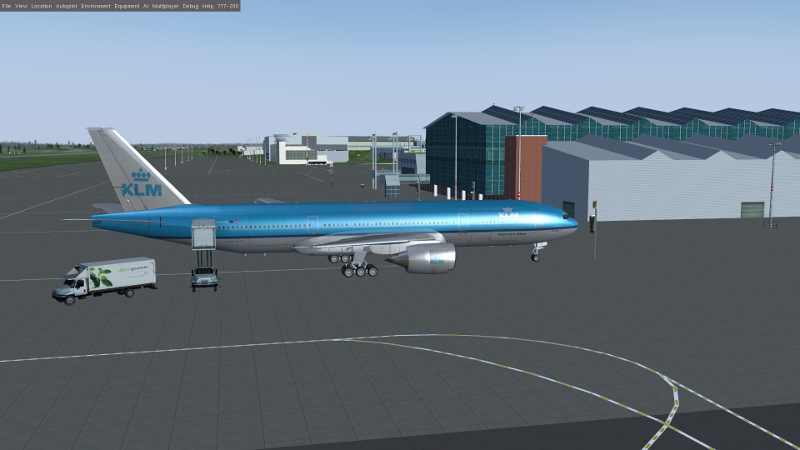 My intention was indeed to get functionality that is available on other aircraft in the one I like to fly most. It would certainly be great to have a way that works for all. Having said that though, this is a task that gets more difficult the more you think about it. 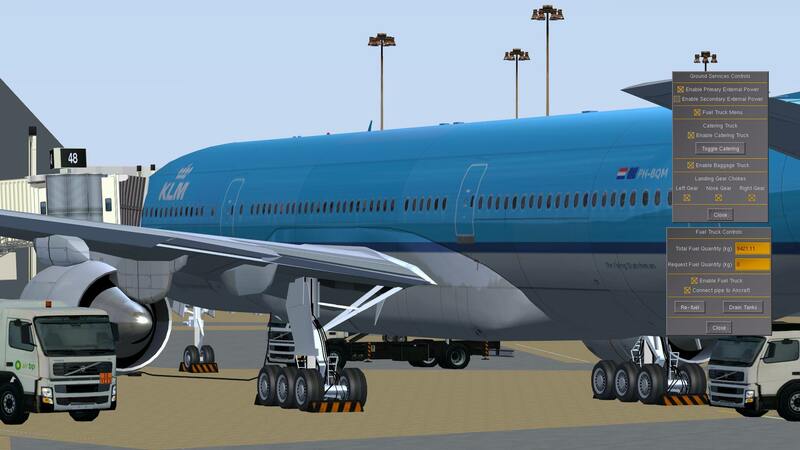 Different types of aircraft require different types of ground ops, the door and fuel port positions would all need to be implemented in the aircraft, you restrict yourself to pretty much only one 3d model, except you build functionality to switch them out and what a mess would that be... Keep in mind I only just started with some simple stuff, so my experience is limited. Other simulators have similar problems where you have drastic differences in functionality from plane to plane, so I wouldn't know of a way to make it work for everything. 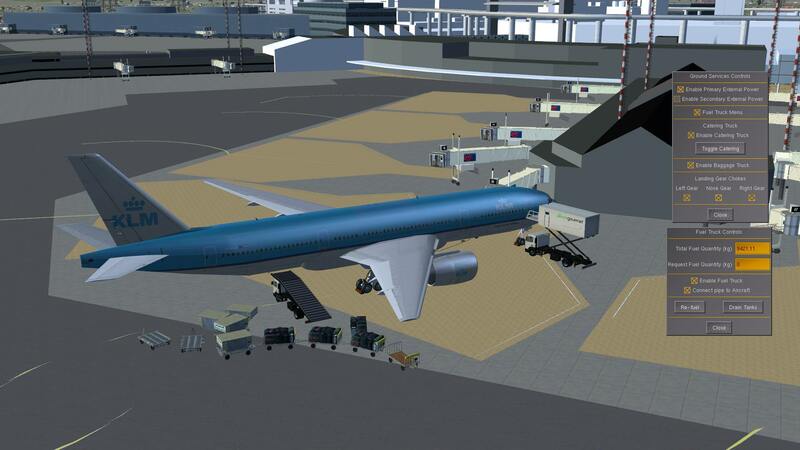 The ground services project is great, but having a groundnet for every airport in the game seems impossible to me and I don't want ground ops like fuel truck and catering and such to be restricted by that. 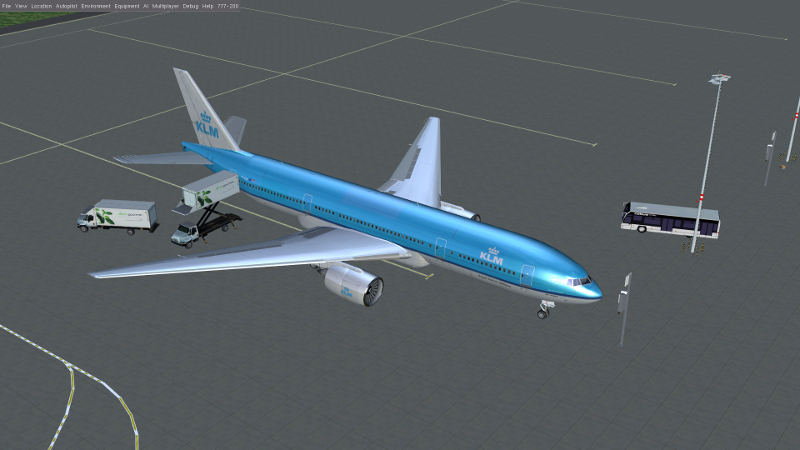 For now I'll probably end up porting a lot from the 787 which has pretty much all I ever wanted. Later, it could be worth thinking about generalizing that and make it an addon like GSX (never used it but seen it in videos). First iteration is done. I added some little tweaks here and there to integrate as much as possible with the 777s systems, but all in all it's pretty much identical to the 787s systems minus the de-icing truck. The catering truck will move up to the door when toggled and the fuel truck can be used to set the fuel more precisely (has already been the case for 787). Next I'll be looking into expanding the fuel truck menu to let you switch to lbs instead of kg. Really nice, good job. 777 is my favorite plane and I'm really appreciate to see this plane evolve. Thanks a lot. Great job! If you have something commit-able, just let me know, I 'm happy to see this implemented in the 777! hi HTlocal, did you make any progress with your work? Is there a repo or the like I can check on? I 'm thinking of making some improvements in this area, but I don't want to interfere with your work. Thanks a lot!